In most fantasy games, there’s a pantheon of gods for cleric characters to choose from, that give them access to one or more domains, appropriate to the theme of the god (a god of fire gives access to the Fire and Light domains, for example). We took a look at Divine Domains last week; now let’s put them into practice and create divine powers, gods that offer different Divine Domains to heroes. 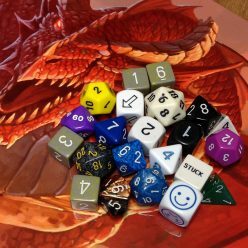 The latest edition of Dungeons and Dragons gives you the Greek, Egyptian, Norse and Celtic gods, with domains that can easily be translated into USR Divine Domains. 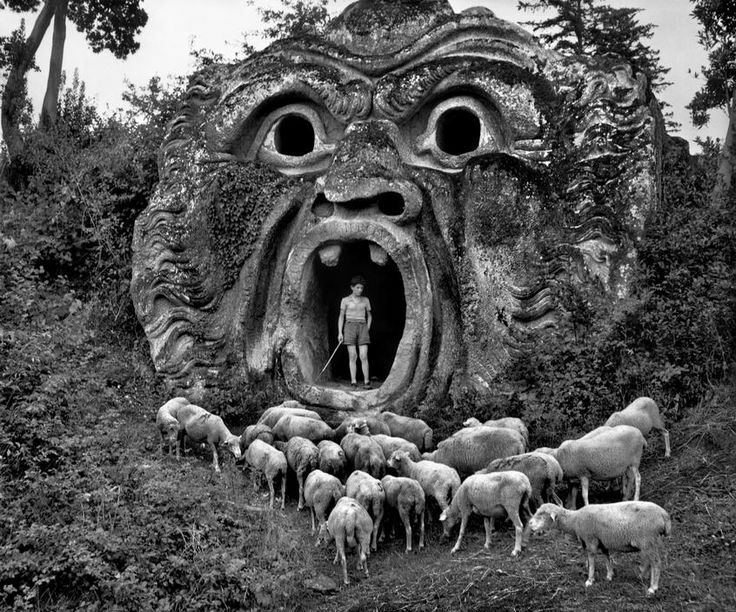 So let’s go a little farther out for our sample deities, the Etruscan gods, which were absorbed into the Roman pantheon (as were the Greek gods), and in my case which are listed here. Some of these gods don’t lend themselves to traditional role playing positions — a cleric of the god of war, sure, but a cleric of the goddess of childbirth? That’s where the flexibility and creativity of USR comes into play. Divine Domains aren’t just a list of attacks; they’re also a description of a character’s behavior and even appearance. Is a priest of Thalna a midwife or doula? Is he taking a broad view of the term “childbirth” and summoning creatures to do battle with monsters? Is she “birthing” the world anew after a fight by healing wounds and cleaning up broken and ruined things? Which Divine Domains will your character use? That covers most of the superheroes found in the Big Two’s books, and makes getting started with Microlite 20 Costumes a lot quicker. The Power Packages are a separate document from the Costumes rules, though found in the same place here on the web site. Next up: a little road-testing of these rules, with an all-out superhero slugfest brought to life on the tabletop. One of the things I like best about Dungeons & Dragons is the distinction between arcane and divine magic. A wizard or sorcerer doesn’t choose spells the same way as a cleric or paladin. While wizards have had schools of spells almost since the beginning of fantasy gaming, the divine equivalent — domains — is a newer invention. It was spheres in second edition, then domains in third edition and beyond. You’re probably familiar with domains: a small collection of spells and a few special abilities related to a theme, like “war,” “light,” or “death.” Many fantasy games, tabletop and otherwise, that feature clerics or priests have a similar setup, where characters of that type can focus on healing, boosting allies, or attacking foes. From a characterization perspective, domains often suggest a personality for a character, even if it is a little cliché (a fire cleric is hot-tempered, a cleric of death is quiet and slow-moving). And that makes a domain, or what we can call a divine domain, a perfect option as a Specialism in Domino Writing-style USR. This guy is definitely using the Fire Divine Domain. (image: winghornpress.com). As I said early on in this series, “Specialisms are what a character can do, or how he or she does it, in a way that’s appropriate to the setting.” In this case, a divine domain is what a character can do — thematic attacks, changes in appearance, and so on. Let’s take a look at a few divine domain Specialisms. Because these are related to magical powers, we’ll say a character with a divine domain specialism can cast thematically appropriate spells. To keep things Unbelievably Simple, we’ll let the players and game master decide exactly what the spells are (though it would be easy enough to use the Classic Magic or The Force rules ideas I’ve described before). Life Divine Domain: A character with this divine domain is a healer most of all, though some also dedicate themselves to destroying the undead. They dress in light-colored clothes and offer aid on the battlefield, sometimes curing injuries and helping the mortally wounded to their final rest, without making attacks themselves. They offer curative magic, like restoring hit points, removing disease, and providing life-giving energy (i.e., a bonus to a hero’s next attack). War Divine Domain: This doesn’t just have to apply to a character’s ability to fight with hand-to-hand combat weapons, like it does in a traditional fantasy setting. War is also about strategy and tactics — a soldier with sword and a general with a map are both warriors, and a hero able to tap into the divine power of war is excellent at confrontation, with blades, guns and even their mind (isn’t survival on a wind-battered mountaintop a battle against nature?). Death Divine Domain: Death can be a natural choice for an evil priest who desires to see all creatures wiped from the face of the planet, or risen again as soul-less creatures like vampires and zombies. It’s the opposite of the Life divine domain (and what kind of stories could be told with a hero who has both the life and death divine domains as Specialisms?). But it can also be used for good, for a hero who helps those in pain find a comfortable final rest, or for an undertaker who magically clears away scenes of horror and pain. Fire Divine Domain: This divine domain immediately brings to mind priests dressed in red, hurling flames at their foes, and destroying buildings with a blazing hot touch. Like the Death divine domain, it can be used the opposite way, too, with a hero magically putting out fires and keeping evil priests with the Water divine domain in check. 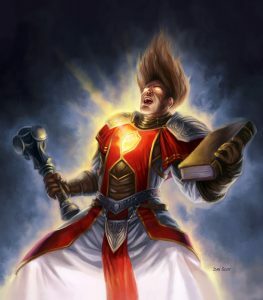 This divine domain makes it easy for players to describe their attacks (“I cause fire damage”) and offers plenty of ideas for personality traits too, aside from the cliché of “hot headed.” What about “simmering with rage” or “bright and energetic”? What other divine domains can you create? Let’s add a new setting to the USR catalog, a fantasy world that’s not quite traditional fantasy (like we see in Halberd and Swords and Sorcery), or the “light” fantasy of Tequendria: The Eternal War. Thousands of years ago, the sages say, Miolte, the goddess of light, and Gurias, the master of darkness, made a wager, another confrontation in their endless battle. The goddess said a single powerful soldier was the best weapon. The master of darkess argued that a horde of troops could do more damage. So, in this battle of quality versus quantity, two forces were conceived: the Soldiers of Light and the Dark Army. Soldiers of Light are mighty warriors, crafty ninja and brilliant scholars. The Dark Army is made up of beasts, creatures spawned of hate and cruelty, that exist only to exterminate all life on the planet. Some are hideous fiends; others are beautiful and beguiling, seducing victims with their words. There are monsters like dragons and zombies in the world of The Eternal War, but only humans — no elves, dwarves, orcs or others of their kind, at least not that anyone has seen. There’s also no magic, no spell-casting except for the arcane gifts Miolte and Gurias bestowed on their warriors. For every Soldier of Light, there’s 10, 50, maybe more of the Dark Army. But when a Solder of Light is killed, it is born again 24 hours later with the same strength and knowledge it had before death, with all the wounds it suffered healed fully. A Soldier of Light can never die (though clever members of the Dark Army trap Soldiers in boxes before killing them, or hang them from ropes: the Soldier is reborn in the same spot, trapped in an endless loop of death and rebirth). A member of the Dark Army can be killed, torn apart with metal or wooden weapons like any creature. They aren’t born again after death; instead, leaders of the Dark Army can corrupt ordinary humans, turning them into servants of Gurias. In this way, by capturing innocents and giving hope to the hopeless, the Dark Army grows forever. This is a classic fantasy world — you’ll find swords, bows and chain mail here. There’s no magic, so no need for spells or magic items. And since heroes are Soldiers of Light, there’s also no need to create a new character if your old one is killed. Just move the story ahead 24 hours. The setting is very action-oriented: note that both “warriors” and “ninja” have Action as their primary stat, and there’s no archetype for an Ego-based character. Soldiers of Light are focused on battling evil, not negotiating with it. There’s also little need for healers, since the Soldiers of Light are reborn, though it does take time for a Soldier to recover, and they can’t always wait around if the Dark Army is on the march. The Dark Army is made up of monsters of all power levels. 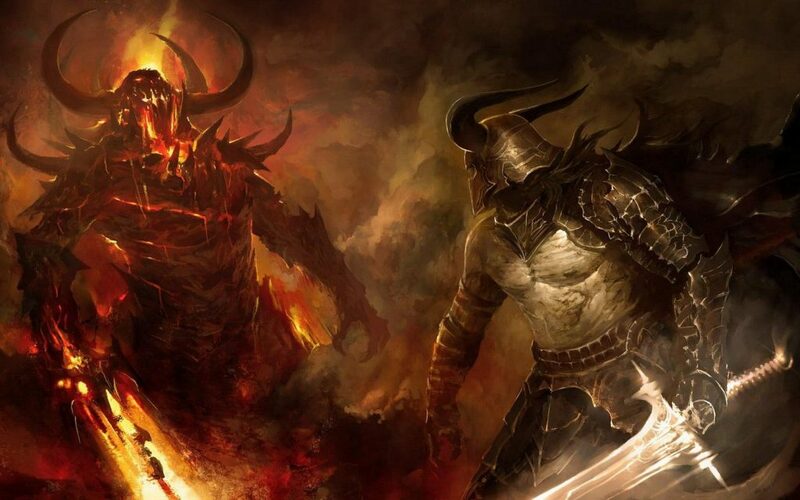 As in most games, the majority are level II or III, though leaders can be IV or V. Dragons, giants and similar creatures are at level VI, like in most fantasy settings (not every adventure has to be a battle against the Dark Army). Here’s a first adventure in the world of The Eternal War, using the Six-Step Adventure design concept. 1. Quest giver: The heroes find themselves in the city of Rivermoor, where Tykan, head of the guards, instantly recognizes them as Soldiers of Light, and asks for their aid against a band of Dark Army bandits. They have been raiding merchant caravans coming into Rivermoor, destroying the goods meant for sale and kidnapping young people to transform into more of the Dark Army. Tykan mentions an old stone watchtower a few days’ ride out of Rivermoor that can be used as a base of operations. 2. Early encounter: Soon enough, a horde of Dark Army minions strike at a horse-drawn carriage coming toward Rivermoor. There is one minion per hero (or more if the encounter isn’t challenging enough). 3. Clue to final confrontation: Whether by questioning a captured foe or following their tracks, the heroes come across the site where the Dark Army is making their wretched sacrifices. 4. Secondary encounter or challenge: The heroes arrive in time to break up a sacrifice, hopefully defeating the Dark Army cultists before the young man at the center of their circle is transformed into one of them. 5. Secondary challenge or encounter (the opposite): No matter what happens, the man will be saved in time. But now he has to be escorted through the wilderness back to Rivermoor while wild animals and more Dark Army troops follow. 6. Final boss: Hearing that Soldiers of Light are in Rivermoor, Rolzier, a Dark Army general, is waiting with his best warriors for the heroes to return. What stories will you tell in the world of The Eternal War? One thing that makes RPGs pretty unique among ways of telling heroic stories is that they’re designed to present the stories of a team. 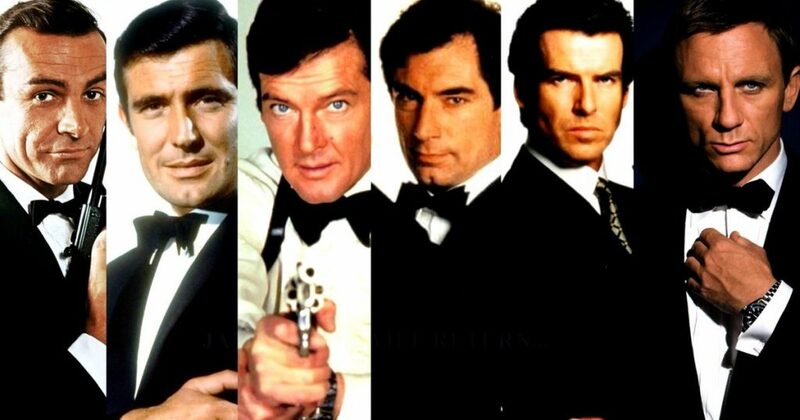 Most of the time, a story — a movie, a comic, a novel — features one hero: James Bond. Conan. King Arthur. Some heroes have allies, but they’re definitely secondary characters: Little John to Robin Hood, Bucky to Captain America. There are teams in superhero comics (Justice League, Avengers), and of course in fantasy novels (Fellowship of the Ring, Companions of the Lance), but they’re less common. So, how can you portray a story with one hero, when your RPG group is made up of several players? One option is to use the tiers introduced for superhero characters, where one character is tier 4 or even 5, while the others are 1 or 2 (they’re the base tier of character). Another is the option that games like The Legacy Of Zorro or Dr. Who take, where the main character isn’t a player character option. They’re off on their own adventures while the heroes of the game are doing something else to advance the cause. Here’s two examples of a “One Big Hero” setting for your adventuring party. Night Time Guardians: Vengeance is a super-powered warrior, the only one in the City. Even with his amazing dark powers, he needs help to stop villains like the Klown, the Back-Breaker, and master thief the Cat Burglar. Vengeance is a tier 5 hero for one player, capable of saving the day and battling the villains by himself (thanks to his extra Narrative Points). But he needs drivers, hackers and young martial artists at tiers 1 and 2 to keep the Double-Man’s minions in check while Vengeance goes after the big target. Vengeance’s super powers alone won’t solve the Questioner’s puzzles, either; he’ll need other heroes for that. Hunters Of The Forgotten: Dr. Harry Smith is an explorer, searching pre-World War II jungles and deserts for valuable treasures. But he’s busy battling other treasure hunters and power-mad army generals. So he’s recruited you and the other heroes to find the ancient statues and mystical jewels hidden in ancient ruins and remote caverns that he doesn’t have time to seek out. The heroes meet Dr. Smith at the beginning of each adventure. He points the way to get the action started — and drops in whenever the game master thinks the characters need a little extra help. What kind of “One Big Hero” story will you tell?